The UK’s biggest business show is going to happen on 17-18th November at London. You cannot afford to miss out UK’s biggest business show held at Olympia London. Business show is offering you 250 free seminars, 170 master classes, 7 interactive features, 18 educational theaters, 350 leading exhibitors, 25,000 businesses to network with and 5 sister events. You can get all this with free ticket. Whether you are thinking to start a new business or looking for ways to expand it across the globe business show would enable you to achieve your goals. You will get a chance to invest, get investment for your business, business advice, new business partners, valuable connections and access to more than 6,000 people to sell your product or service. You can also reserve your place free. Exhibiting your services or products is a great marketing way to attract new customers for your business. Therefore business show would also provide you an opportunity to exhibit here. 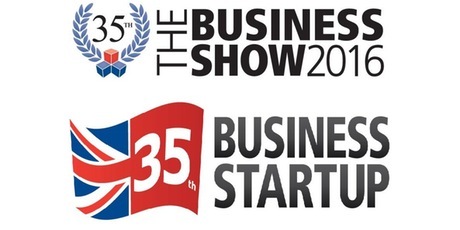 The ANGELS INVESTMENT SHOW would also become part of business show one of the biggest business event in Europe. Google’s free digital workshop would get you an access to get tips on improving online presence, increase customers in addition to improving digital skills. Some of the featured speakers are Hilary Devey – Dragons’ Den star and founder of £100m logistics company, Pall-Ex, Raja Saggi – Head of Marketing at Google – How to improve your digital marketing, Lynn Sutton – Client Partner at Facebook – helping businesses make the most of eCommerce platforms, Matt Lumb – CEO of Tangle Teezer – Overseeing rapid global expansion with a small team, Brad Burton- The UK’s No1 motivational speaker, Rachael Flanagan – who went from a mop to millions with her own multi-million pound cleaning service,Christian Lane – CEO of emerging multi-million pound tech company and many more to enhance your attitude and business approach.